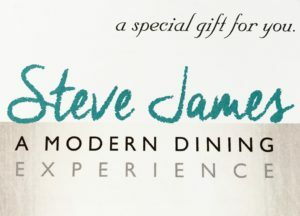 You can now purchase a gift certificate for your friends and family for personal chef Steve James. They make great Birthday and Christmas presents. When you purchase them you can get them as a 3 or 5 course meal. You can purchase them for a certain amount of people. Alternatively you can purchase them as an amount of money towards a catering service. To purchase a gift certificate please contact us. Buying a gift for someone special needs some hard thinking. When that special person has everything it is even harder to find something suitable for them. A private chef for the evening will definitely do the job. Whether it’s Valentine, a birthday, a hen evening or anniversary or just a nice gift for a loved, our gift vouchers are a perfect answer. A personal chef and catering service covering Somerset and Dorset and East Devon including: Weymouth, Sherborne, Shaftesbury, Bruton, Bridport, Dorchester, Glastonbury, Lyme Regis, Weston-Super-Mare, Yeovil and Honiton.